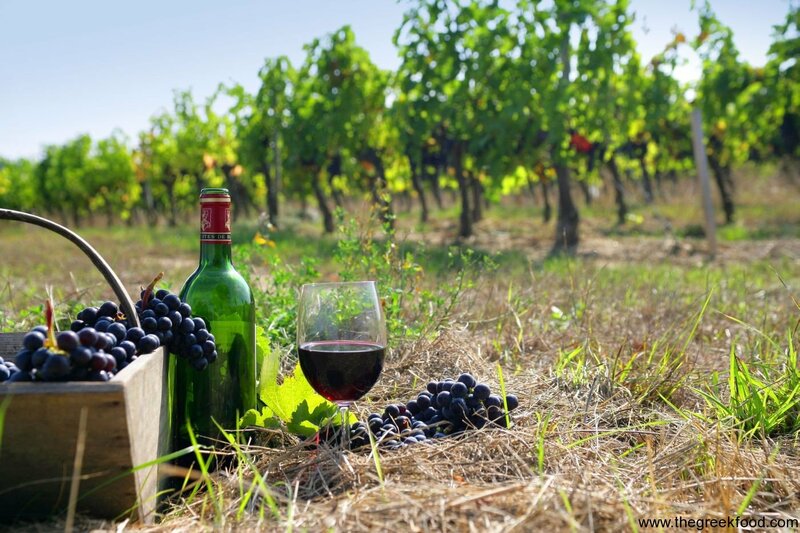 Wine is a popular beverage throughout the Mediterranean and Greece is no exception. 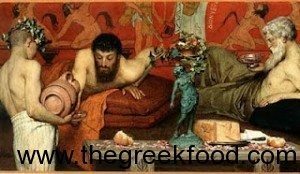 The classical mythology of Greek wine surrounded Dionysus, the god of wine, festivity, pleasure, and vegetation. Son of Zeus, he became the god of wine when he invented it from the grape. This act made him one of the 12 Olympians, replacing Hestia who volunteered to relinquish her spot. People have been processing grapes into wine for as many as 6000 years in Greece, and so it’s not so much a matter of who “brought” wine to Greece, but the fact that it has always been a part of the culture. 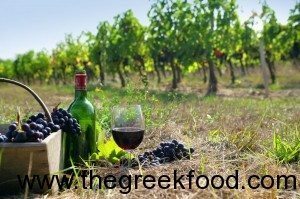 For centuries Greeks have enjoyed wine at just about every meal, with just about every type of cuisine. Greek wine is known and enjoyed throughout the world, with a variety of white and red products coming from regions all over the country. The winemaking regions of Greece include Macedonia, Thrace, Epirus, Peloponenese, Rhodes, and Crete. The isle of Santorini especially is known for having a unique and rich soil that grows some of the most distinctive and robust wines in the world. The one-of-a-kind growing conditions include warm days and nights with cool fog, strong northern winds, and adapted shaped vines that grow close to the ground. The white wines in Greece include Assyrtiko, Lagorithi, Roditis, Savatiano, White Muscat, and Robola. Wines have been grown throughout Greece for over 4000 years, and both white and red are grown throughout all the different regions. Some, like Assyrtiko (from Santorini), Moschofilero (from Mantinia), and White Muscat are very dry or crisp. Others, like Athiri (from Santorini), Lagorthi (from Kalavrita), Malagousia (Nafpaktos), and Savatiano (from Attica), are sweet and fruity. Greek white wines can make excellent additions to meals, desserts, or at times in cooking, though it depends on the particular wine as well as the food it is being paired with. Greek red wines include Agiorghitko (from Peloponnese), Mandelaria (from Rhodes and Crete), and Xinomarvro (from Macedonia). They also vary in their taste, though each region is known for the flavors of their specific variety. Agiorghitiko are known for the complexity of their aromas, and can be enjoyed either as a fresh wine or aged. Xiomavro is also known for its ability to age incredibly and its rich character. Both Mandelaria’s and Mavrodaphnes are known for their ability to mix well with other types of grapes. The Mavrodaphne blended makes a famous and popular dessert wine, especially. Simply put, wine is made from crushed grapes. The juice ferments and is bottled. Sounds simple, right? Wine is a far more complex liquid than that. Especially for Greeks, who appreciate a fine and flavorful bottle, there are more steps to consider and more details to pay attention to. Each region is known for its distinct flavors because of the soil, the harvest season, the preparation, and the fermentation as much as for the individual types of grapes used. The location of the vineyard and the soil that is specific to that region is one of the most important things to consider in the wine-making process – as it will give the wine an identifiable and varied palate. This is why Santorini is so widely known throughout the world for its distinct flavor, for example. It has a volcanic soil that nourishes the grapes as well as other environmental conditions. After that, a wine-maker must decide what kind of specifics to use in the processing of the grapes, and each step contributes to the overall flavor. Visanto (from Santorini), for example is still made using the traditional method of drying grapes in the sun for 10 days, and many wines on Santorini are aged in wooden barrels for years. In Greece, wine is a drink that is served with a meal, and helps to keep the conversation and the fun-loving atmosphere flowing. As it hits the international market more it will continue to impact the wine palate around the world. For years it has been appreciated only locally and is just beginning to spread globally, but no matter what kind of wine you enjoy, if you are a wine drinker you will find a delicious choice from you amongst the Greek wines sold around the world. Of course, for the true experience you need to visit Greece and find out for yourself the variety of unparalleled tastes and the amazing experiences you can have at local vineyards. You can go on a relaxed wine-tour, spending much of your time tasting bottles that can’t be found outside of a limited local region, and find out why those traditional recipes have maintained their popularity over time. You can’t really appreciate the richness of that history until you’ve tasted the fine and distinct flavors of the different wine regions throughout Greece. 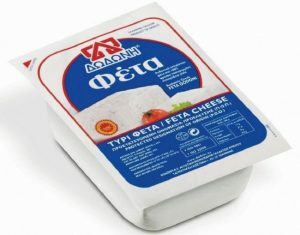 In Greece, they’ve been doing it for centuries and their expertise certainly shines through in their flavors.